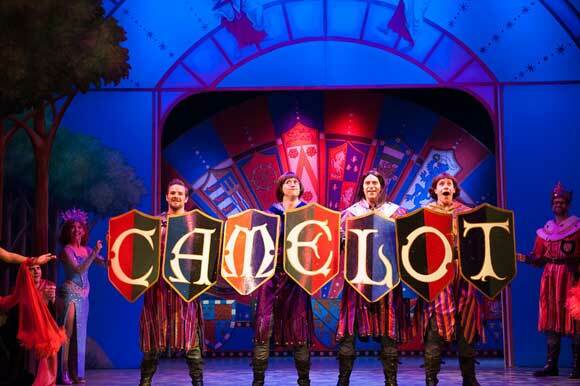 Spamalot has made audiences around the globe roar with laughter since the musical by Eric Idle and John Du Prez, won the Tony Award for Best Musical back in 2005. Based on the classic feature film Monty Python And The Holy Grail, Spamalot tells the legendary tale of King Arthur and the Knights of the Round Table and features a bevy (or was it a brace) of beautiful show girls, witch burnings (Oops! cancelled too expensive) not to mention killer rabbits, cows and French people. The musical features the hilarious songs He Is Not Dead Yet, Knights of the Round Table, Find Your Grail and of course the UK's Favourite Comedy Song (Reader's Digest Poll 2009) Always Look On the Bright Side of Life. Don't miss your chance to enjoy a night with the Knights of The Round Table at the funniest stage show of the millennium. Please visit our booking page for venue information, show reviews, prices and special offers for Spamalot tickets available to book securely online.